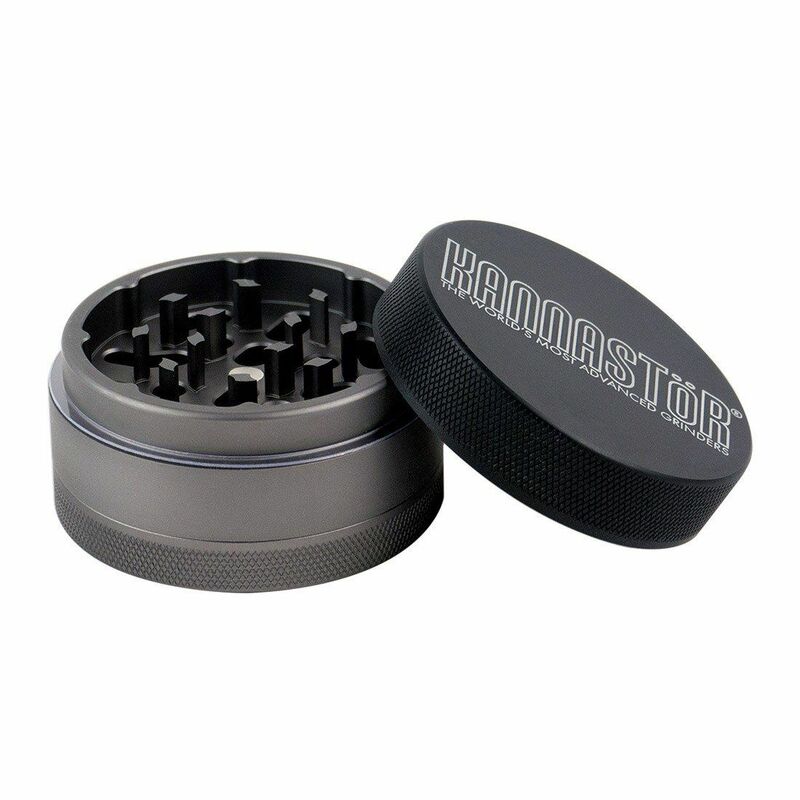 The Kannastor Gunmetal Series Jar Grinder is the world's most advanced grinder for dried blends that now is made available in a sleek matte gunmetal finish for a perfect combination of functionality and aesthetics. This innovative jar grinder is modular by design. 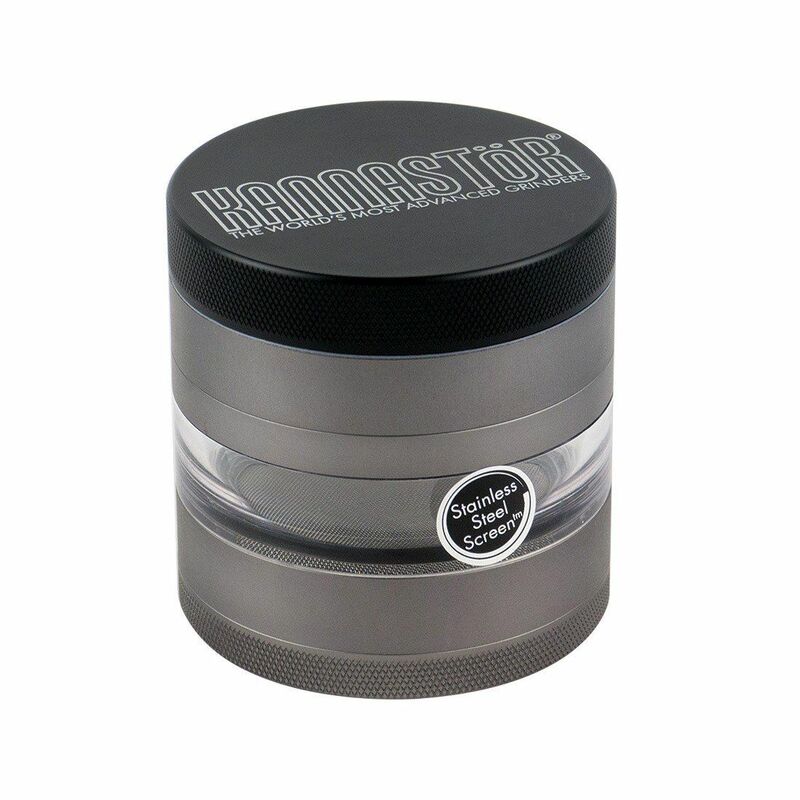 It can be used as a 4 part unit complete with sifting screen or remove that section and grind directly into the bottom collection chamber to make it a bit easier to travel with. 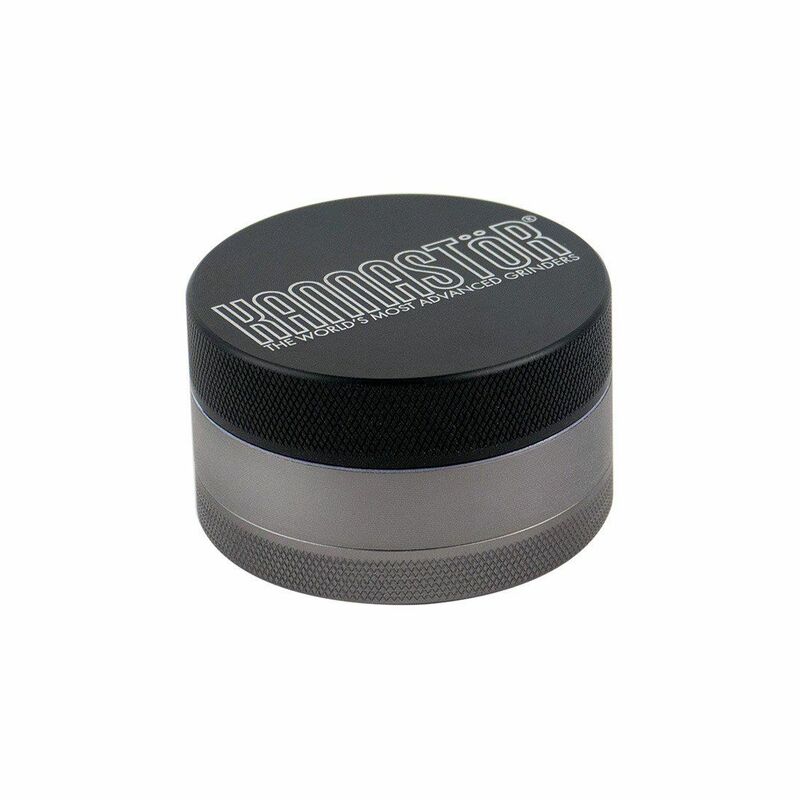 It is constructed from a heavy duty 61/60 hard-anodized aluminum that is highly resistant to scratches, scuffs and smudges. 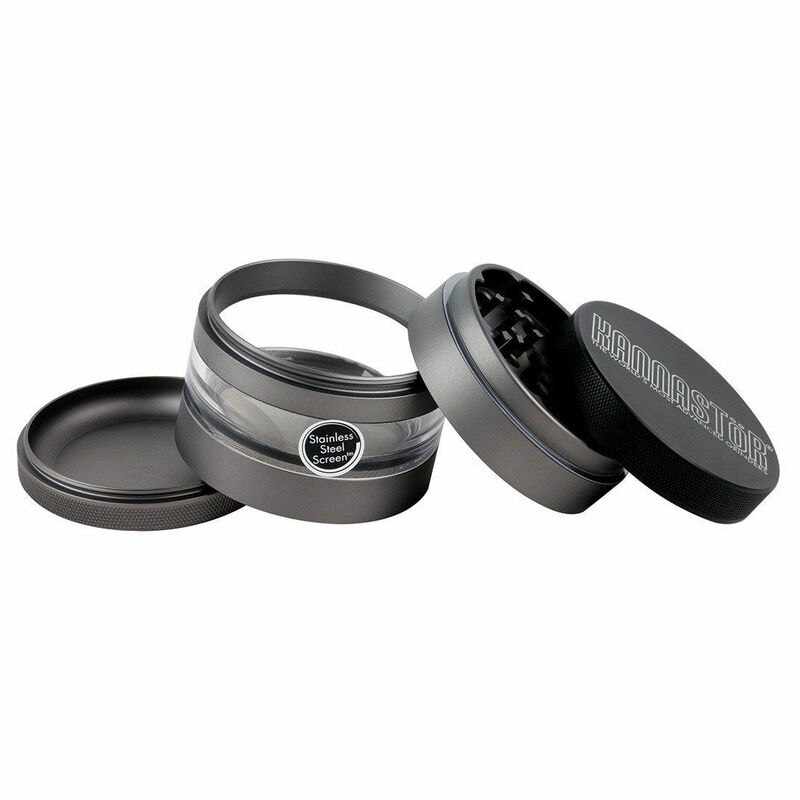 This material is quite durable and 100% food safe, allowing you to grind with peace of mind knowing you're material will be completely safe to enjoy without any added contaminates. 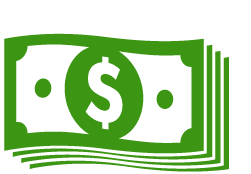 As the old saying goes, do not fix what isn't broken. 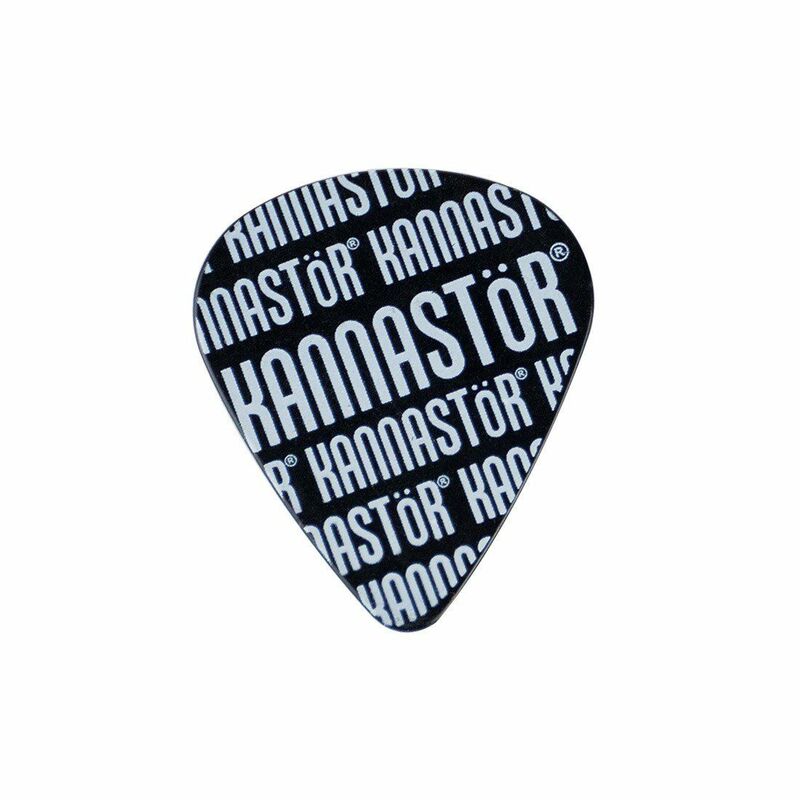 Kannastor has been using the same strategic tooth layout and drop-through hole design for nearly a decade now, together they create the perfect grind consistency without ever over-shredding. 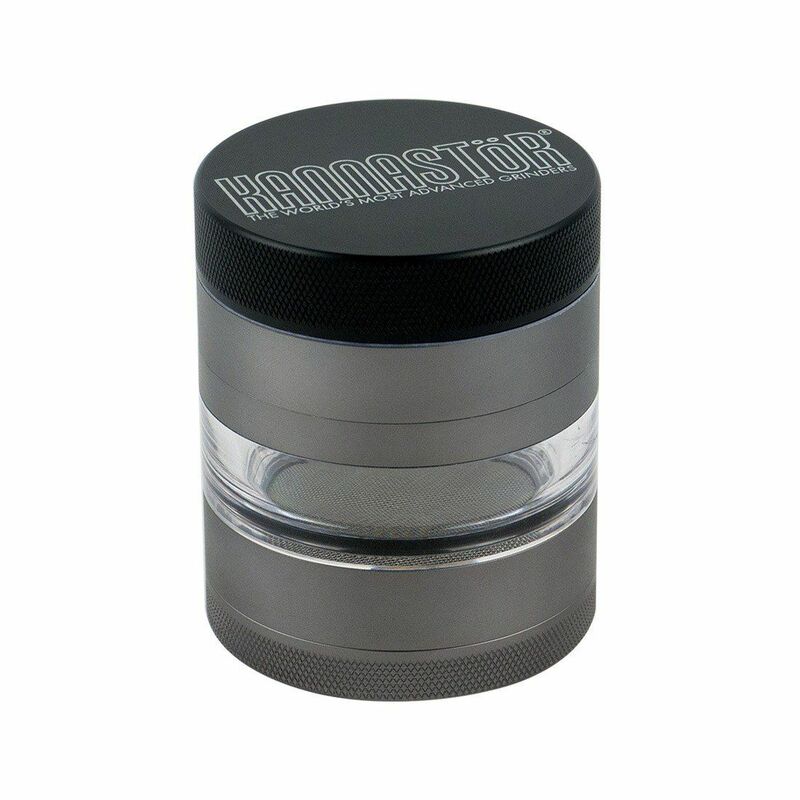 Kannastor's Jar Grinder offers a clear view into the storage compartment that allows you to see exactly how much material you have left inside without a single twist. 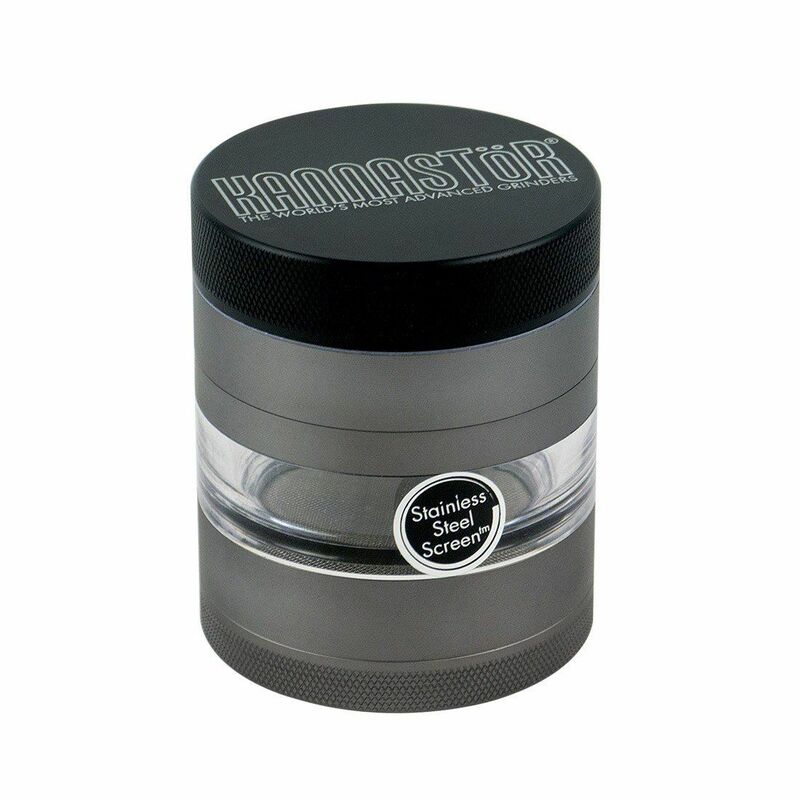 This helps to ensure you know when it is time to grind without allowing those strong odors to escape. 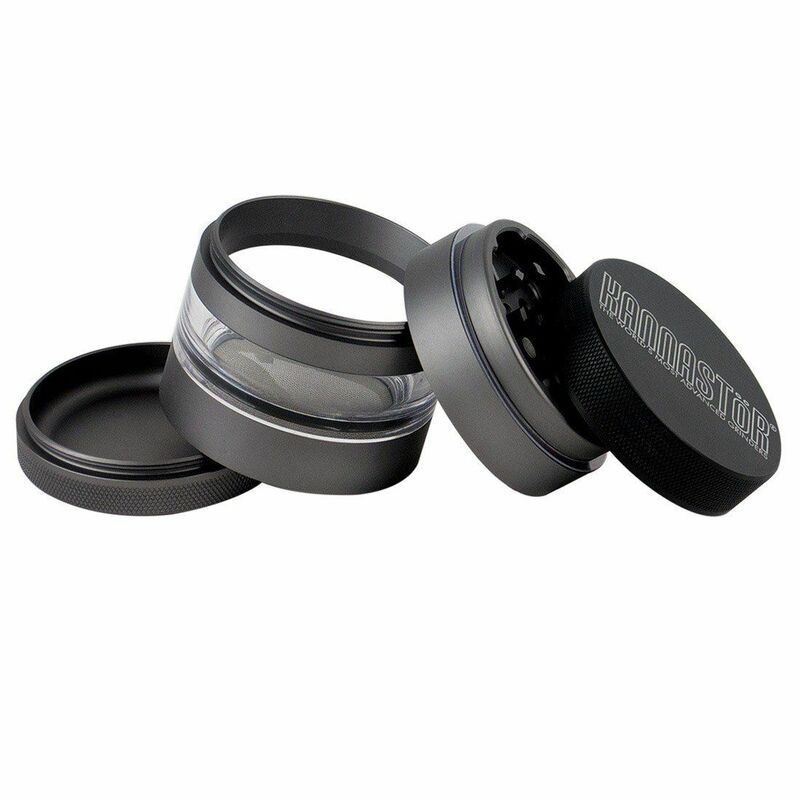 Unlike most other 4 Piece Grinders, the Kannastor comes equipped with a removable sifting screen. 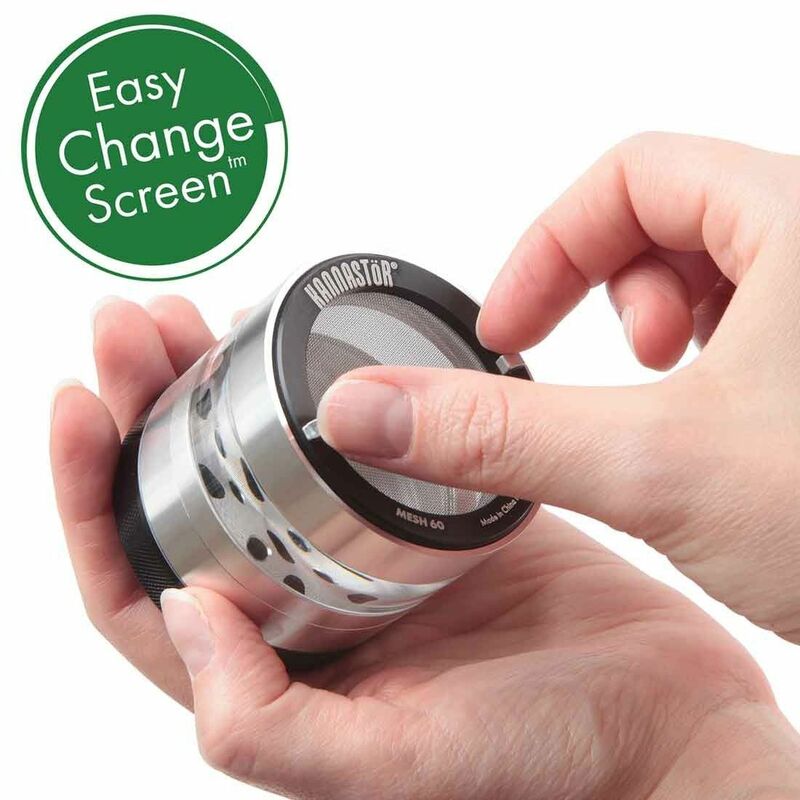 Their patented Easy Change Screen utilizes an outer threading design that makes cleanings a breeze and actually allows you to customize your pollen collections to match your preference. 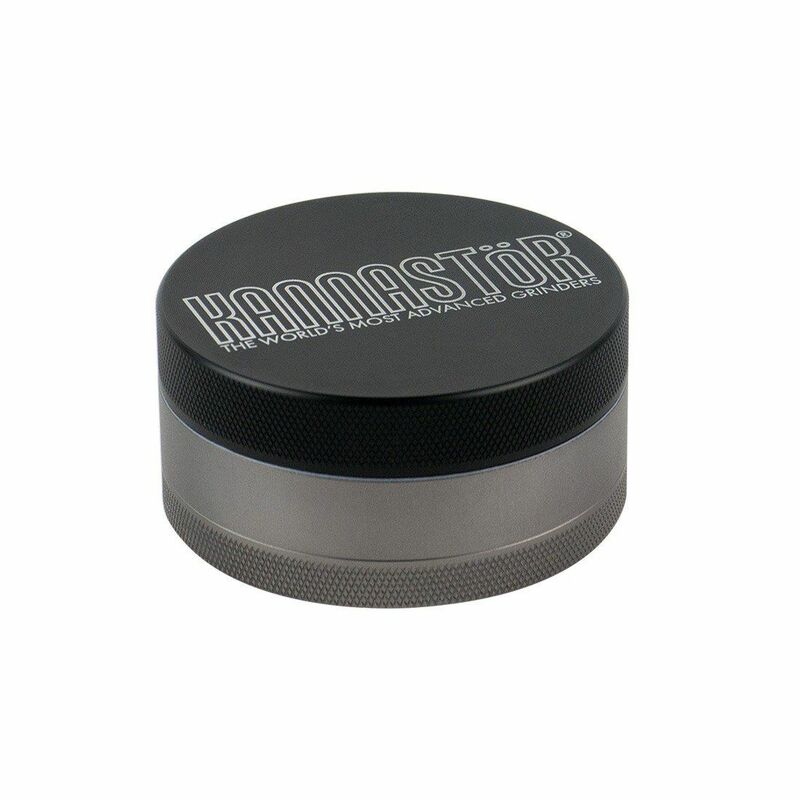 Replace the stock 60 mesh screen with a 100 mesh monofilament (sold separately) to achieve the finest sift possible. 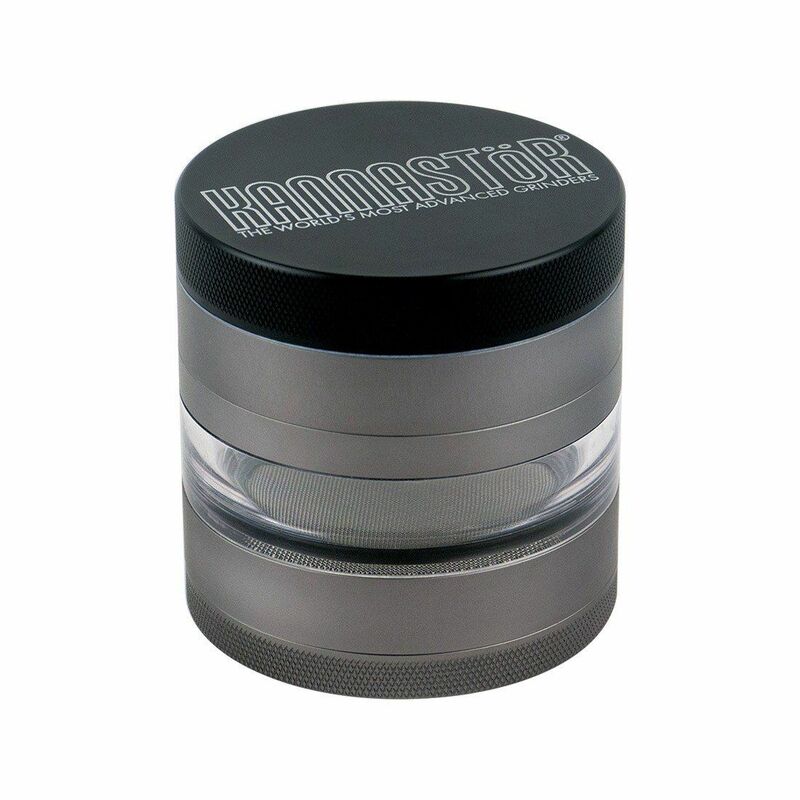 If you're in the market for a quality grinder that is packed with features and guaranteed to last a lifetime then look no further, the Kannastor Gunmetal Jar Grinder is just the piece for you!